Most elements that go into selling a home are self-explanatory—since Northeast Florida homeowners have by definition been through the process of buying at least one Northeast Florida property, they have personal experience to go by. 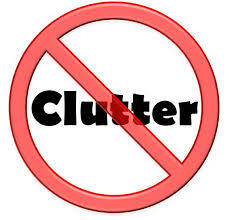 Chances are that they already know that one detail that can have a disproportionate impact on the final price a home fetches is the presence of clutter. Important as it is, the clutter factor is just one element that goes into creating the attractive package—one sure to motivate the buyers. If this winter will see you listing your own Northeast Florida home, I hope you’ll give me a call to discuss all the other pieces of the marketing program that I will bring to your sale!